The Metro Manila Development Authority is initiating a countrywide disaster drills to generate awareness and prepare the people for any possible forms of calamities and disaster. MMDA Chairman Francis Tolentino said the move was inspired by the successful metro wide “shake drill” conducted last week which drew the participation of over 6.5 establishments, LGUs, and government offices and simulating the effects of a 7.2 magnitude earthquake scenario. Tolentino said he himself was surprised at the kind of positive response and support that the drill received, after months of planning and preparation. 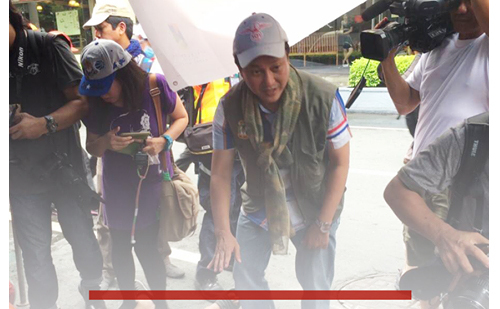 “We initially set a target of 8,000 volunteers for this drill, but we could not be more pleased when over a million registered as volunteers,” Tolentino said. Split into four quadrants, with different accidents and scenarios for each, local and International observers applauded the exercise for showcasing the importance of coordination across all sectors of society, from LGUs, to the AFP and the PNP, all the way to the barangay level. But Tolentino explained that there is still plenty of room for improvement with regards to disaster preparedness in general. “We are lucky to have had the opportunity to exercise the Shake Drill here in Metro Manila, but I believe this should be practiced throughout the country, and I am looking forward to coordinating with LGUs for Shake Drills in the different provinces,” he explained. Tolentino added that he is hopeful that the Shake Drill could become a yearly activity of the MMDA, hopefully in conjunction with LGUs, citing the importance of muscle memory and familiarization with disaster scenarios for safety. Recently, Maguindanao conducted its very own disaster drill organized by the Provincial government and the Regional Disaster Risk Reduction Management Council. The drill included scenarios involving earthquakes, tsunami, and also stressed on the importance of basic life-saving techniques to the locals.